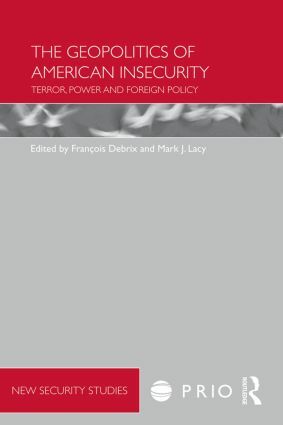 This edited volume examines the political, social, and cultural insecurities that the United States is faced with in the aftermath of its post-9/11 foreign policy and military ventures. The contributors critically detail the new strategies and ideologies of control, governance, and hegemony America has devised as a response to these new security threats. The essays explore three primary areas. First, they interrogate the responses to 9/11 that resulted in an attempt at geopolitical mastery by the United States. Second, they examine how the US response to 9/11 led to attempts to secure and control populations inside and outside the United States, resulting in situations that quickly started to escape its control, such as Abu Ghraib and Katrina. Lastly, the chapters investigate links between contemporary regimes of state control and recently recognized threats, arguing that the conduct of everyday life is increasingly conditioned by state-mobilized discourses of security. These discourses are, it is argued, ushering in a geopolitical future characterized by new insecurities and inevitable measures of biopolitical control and governance.